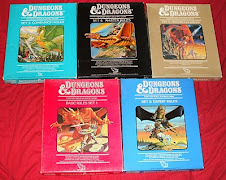 I've previously talked about Frank Mentzer's Aquaria setting and of course his BECMI rules which is the version of D&D that I started out with. I just thought I would mention a couple of interesting podcasts featuring interviews with Frank, which I have been listening to over the last couple of days. In these Interviews, Frank talks about the Gygax statue, his Aquaria project, TSR history, BECMI, the OSR and pretty much everything else. They are well recommended. The other thing I have been doing is writing about the elves of Blackmoor. I have been posting some stuff on them on the Comeback Inn Forum and I hope to make something more finalized here later on. Stay tuned! Aquaria gets its own Forum! Get your downloads while you can!